Since i don't really get to upload pictures of my personal outfits here on the blog, i thought that it'd be fun to actually do so, so today's post is all about that! My style is actually pretty basic and casual, so if you are like me, and you like to keep things quite simple, then hopefully this post will inspire you, by giving you some spring/summer outfit ideas! So, let's begin, shall we? Denim on denim just has to be one of my favorite fashion combos of all time! 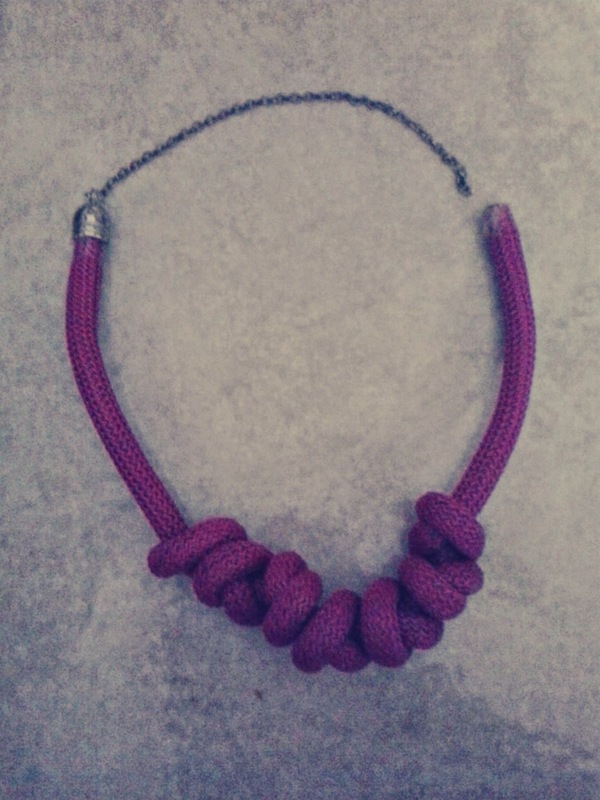 It's a simple yet really chic combination, that i actually wear very-very often. 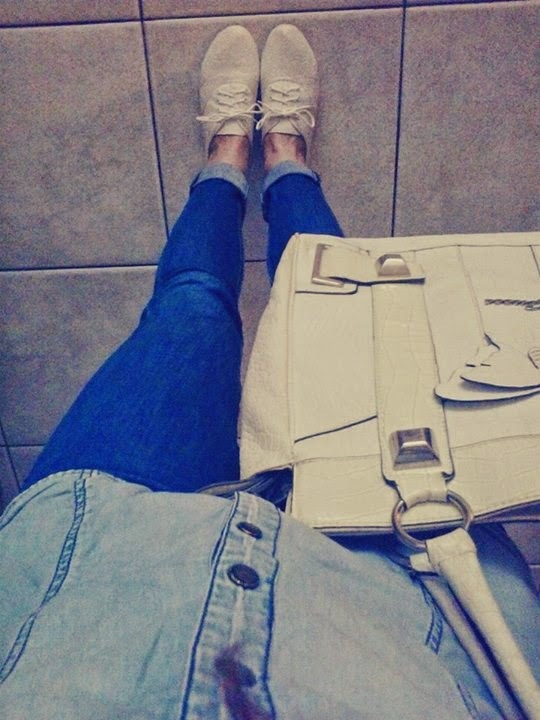 So, for this outfit i wore my light washed denim shirt, along with my favorite pair of skinny jeans. As for my bag, i chose this white oversized tote, and as for my shoes, i went for my super comfy flats, from H&M. 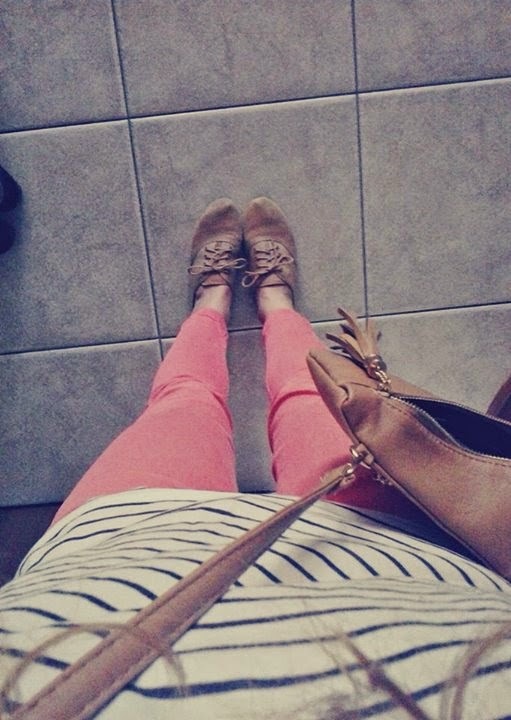 Pink is definitely my favorite colour, so for this outfit i paired my pink pants along with a casual striped top. Then, i finished my look with a brown crossbody bag and a pair of brown comfy flats. 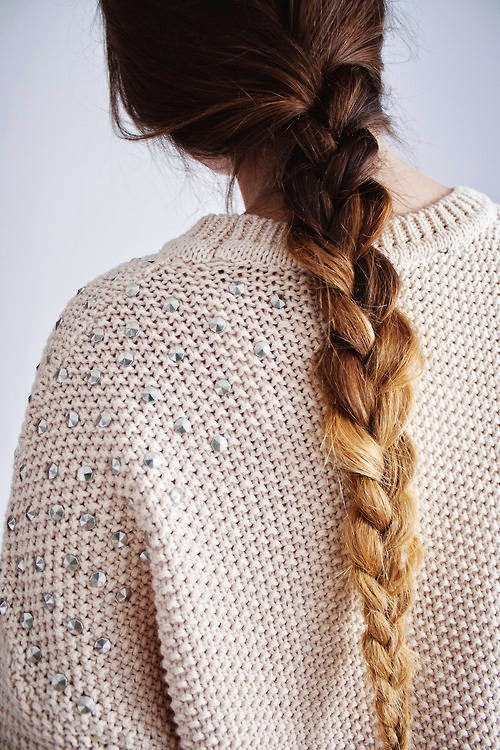 Easy-breezy, huh? 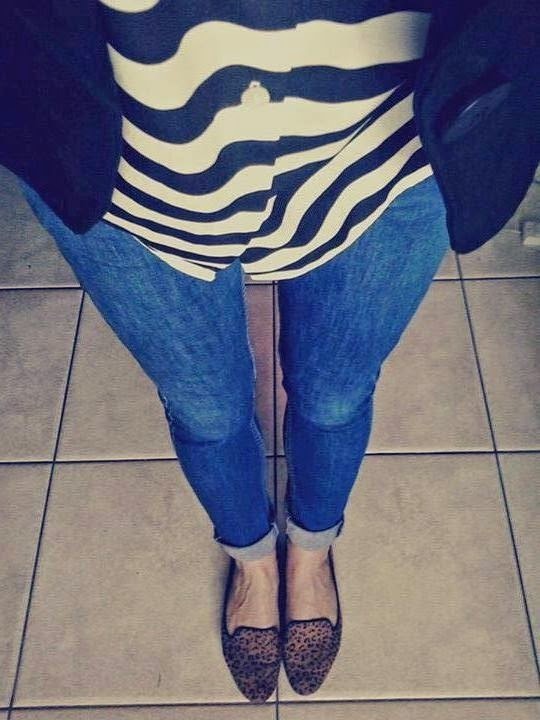 I love-love-love mixing different prints together, and this outfit really seems to prove it! So, i paired my black and white striped shirt with a cool pair of leopard printed loafers. Then, i wore my favorite pair of skinny jeans, and finished the whole look with a basic blazer in a black colour. Casual, but chic, right? 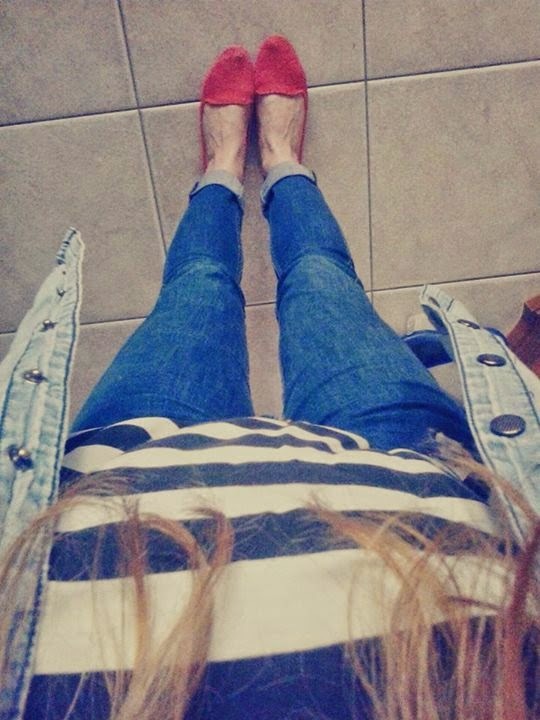 For this outfit i paired a loose striped top with a pair of cute loafers, in a bright coral colour. 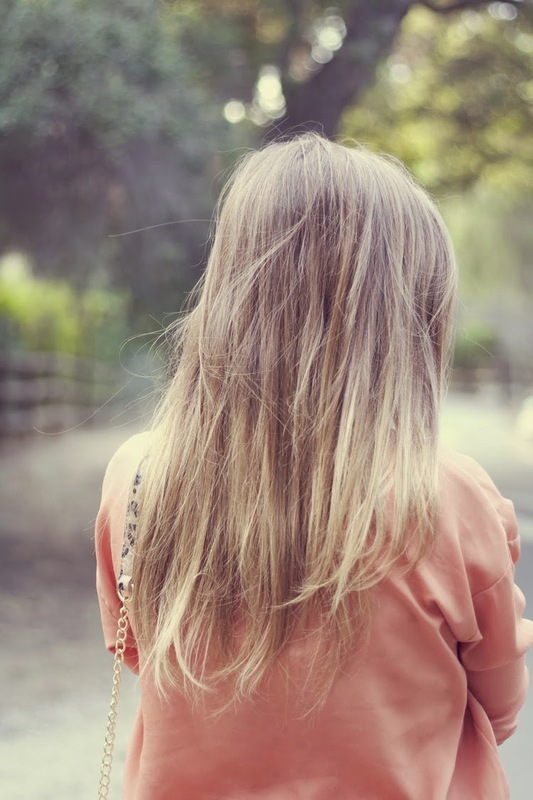 Then, i went for my casual denim pants, and lastly, i added my favorite light washed denim shirt! Casual and fun, right? I love wearing leopard with burgundy, so for this look i paired my leopard printed loafers with my skinny burgundy pants. 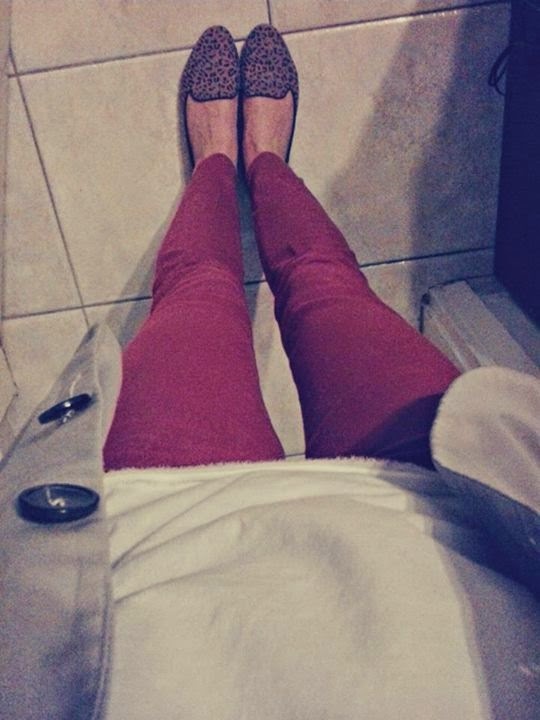 Then, i added a plain white top, along with a grey/beige blazer, which actually compliments my burgundy bottoms! So, which outfit do you like the most? Let me know in the comments! JustSmileWithStyle is on FACEBOOK and BLOGLOVIN! So, if you are thinking of buying a pair anytime soon, or if your are just a Christian Louboutin shoe lover (like me), then you should definitely check out the following picture! 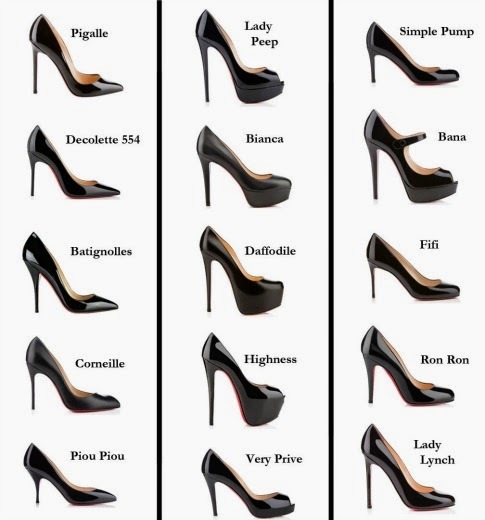 It actually shows the most popular designs of Christian Louboutin's pumps. Pretty cool, huh? Well my favorite ones are definitely the Batignolles, the Decolette 554 and the Pigalle ones, while my least favorite ones are the ones from the second column, since they all look so cheap, plus, they are totally not my style! But how about you? Which ones do you love and which ones do you hate? Don't forget to like JustSmileWithStyle on FACEBOOK and to follow it on BLOGLOVIN! 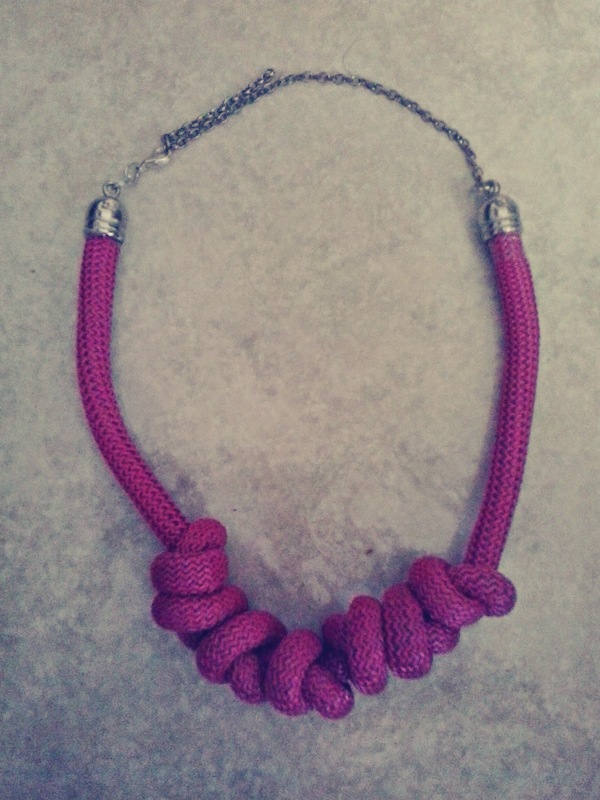 So, i chose to make this beautiful rope necklace which is absolutely perfect for the summer time. Its neon pink colour will compliment any white/black and white/grey etc top or shirt, and will make any outfit look extra cute and girly! But enough with all the rambling, let's just get this party-ooops i meant this diy project- started! 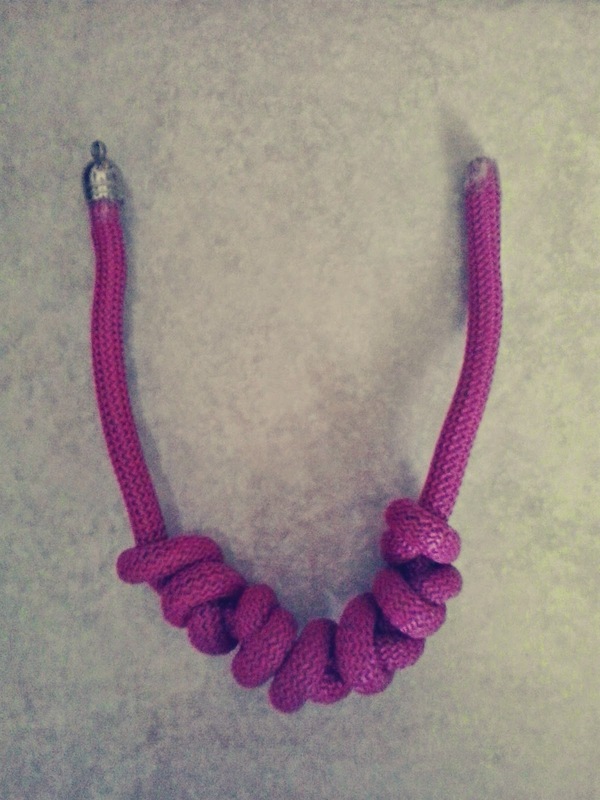 Start by tying one regular knot at the very centre of your cord. Then, tie another one, and another one, and another one, and another one... 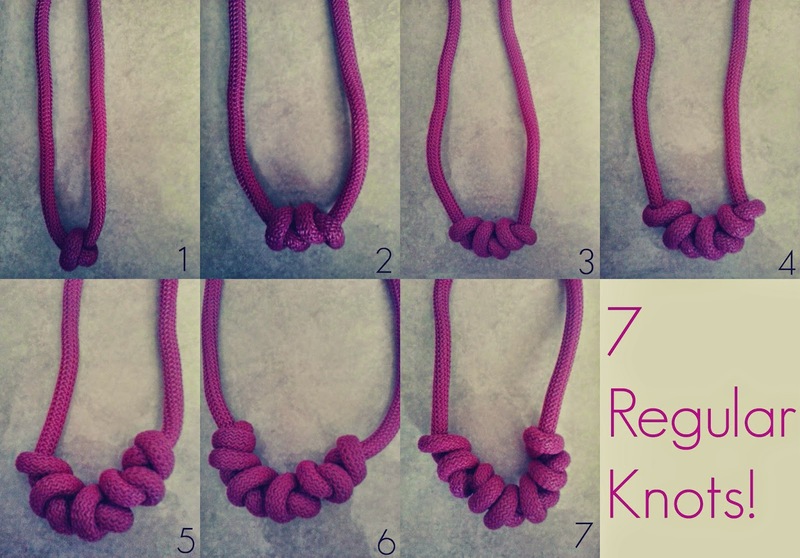 I ended up making 7 knots, but if you want you can totally make less or even more. Then, glue the one cord end cap at the end of your cord. After that, with the help of your pliers, connect your cord end cap with your chain. 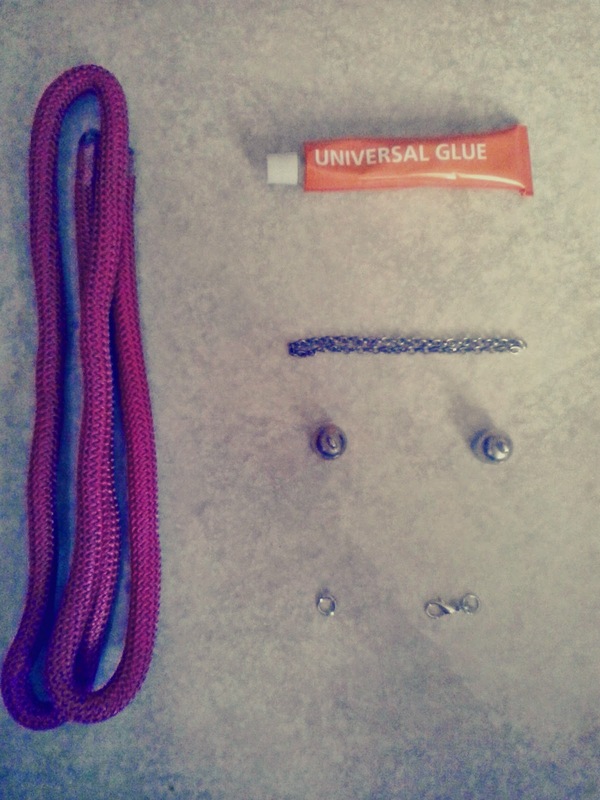 Lastly, glue the other cord end cap at the other end of your cord, and connect your jump rings with your lobster clasp, and your lobster clasp with your second cord end cap. And... you are done! 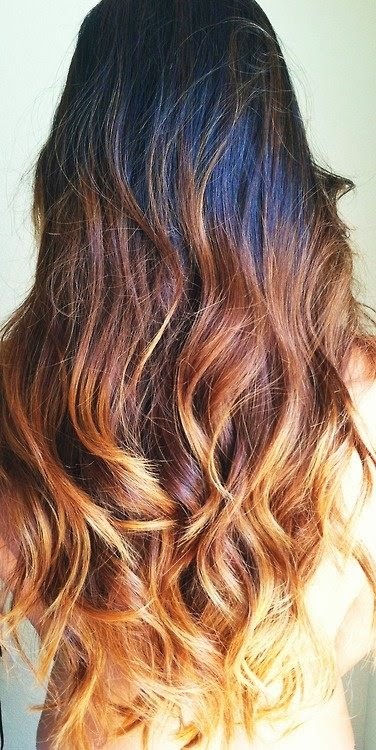 The final result will look something like this! P.S. Thanks to my lovely sister for helping me out with this project! I can't wait to hear your thoughts on my first diy project! June is officially here and i guess it's summer now, right? Well, not in Greece since the weather here is windy and kind of chilly. 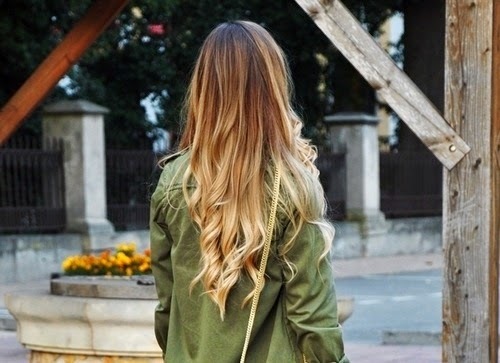 -sad face- Anyway, since a whole new month is ahead us, i thought instead of writing a "fashion/style inspirational pictures" post (like a usually do), i wanted to change things up a little, and write an "Ombré Hair Inspiration" post! And even though i don't really write beauty related posts here on the blog, i actually work as a beauty and fashion editor, for an online greek magazine, so i obviously love everything that is fashion or beauty related! 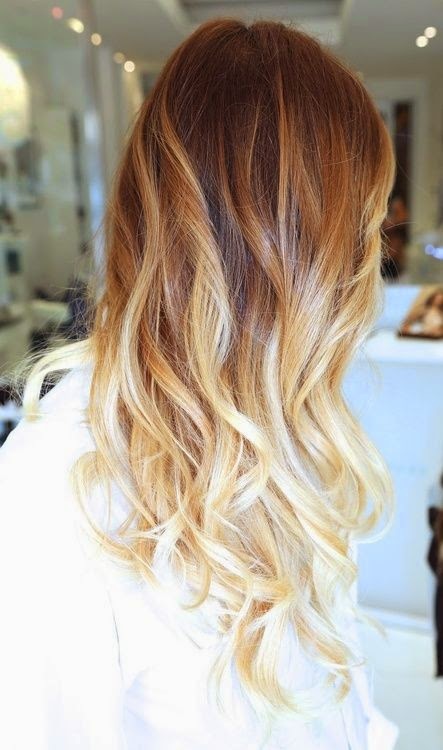 What do YOU think of ombré hair?